Predators of crickets include salamanders, small snakes, frogs, toads, rats, bats, shrews, mice and insect-eating birds. Other predators include ants, ground beetles, wasps, spiders, mantids and lizards. Crickets prefer a mainly carnivorous diet, eating small insects, seeds, nectar, fruit and some leaves. Sometimes, crickets eat dead animals. Crickets are located all around the world,, including across the United States, which is home to 120 species of crickets. 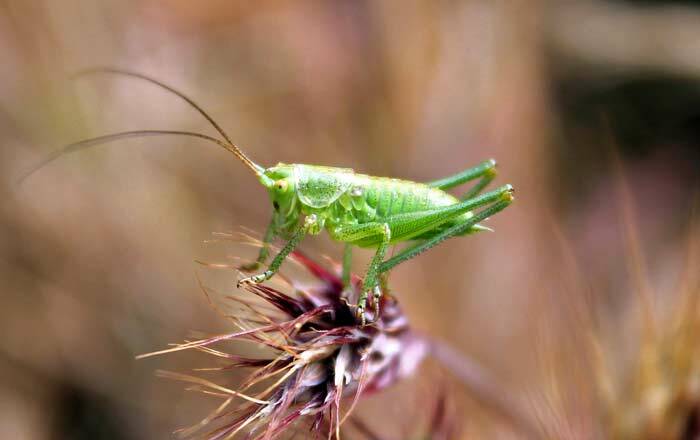 Crickets can be found in a variety of different habitats, including swamps, marshes, deserts, forests and dunes and in temperate, tropical and polar regions. They only live where they can find plant material to eat, so they are found in abundance in humid regions where plant life is diverse.